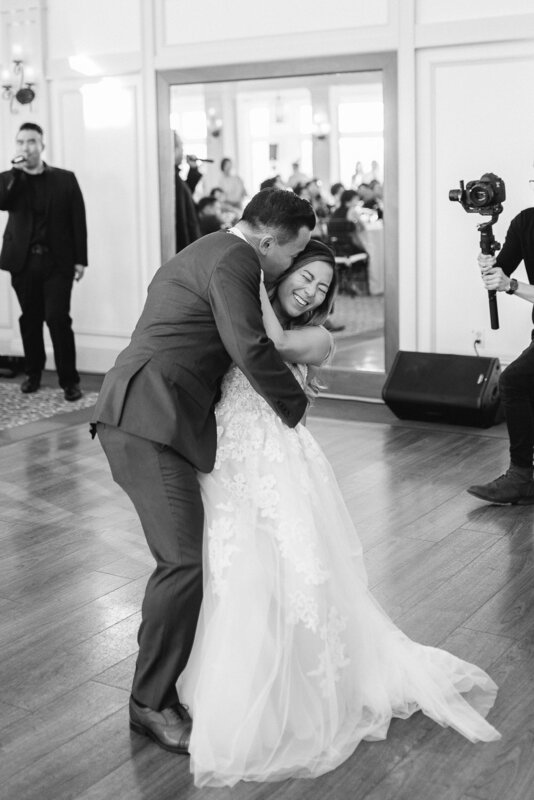 Life is filled with stories and blessings, and as a wedding photographer, I love the fact that I get to witness and capture these stories and blessings for my couples. 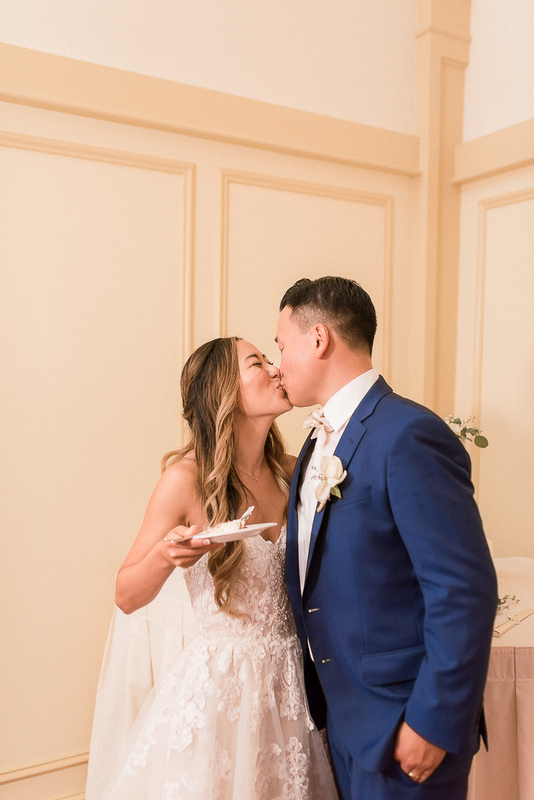 For Catherine and Newton, they have started a new chapter of their life story together as husband and wife last week, and it couldn’t have been a more perfect celebration for these two. Some of you might even have seen their Meridian Hill Engagement Session from last summer and learned that these two are true high school sweethearts! 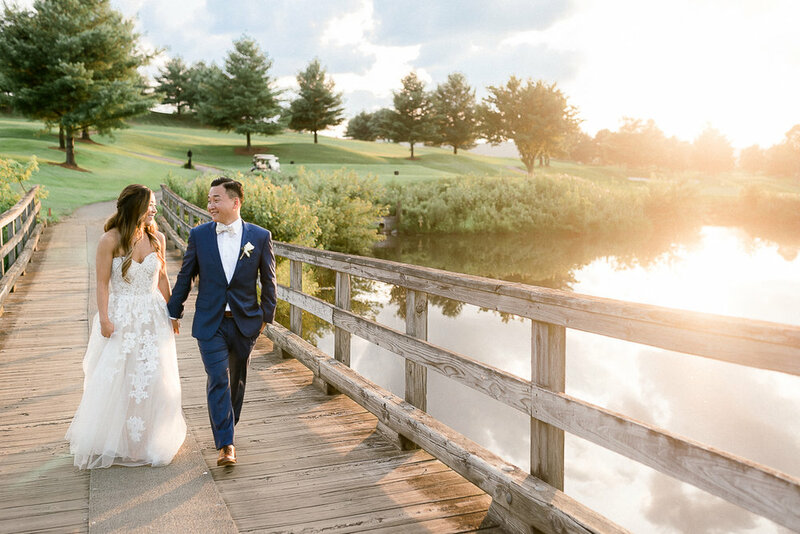 We had the perfect summer for Catherine and Newton’s wedding day with sunshine, occasional clouds for shade, and comfortable summer warmth. 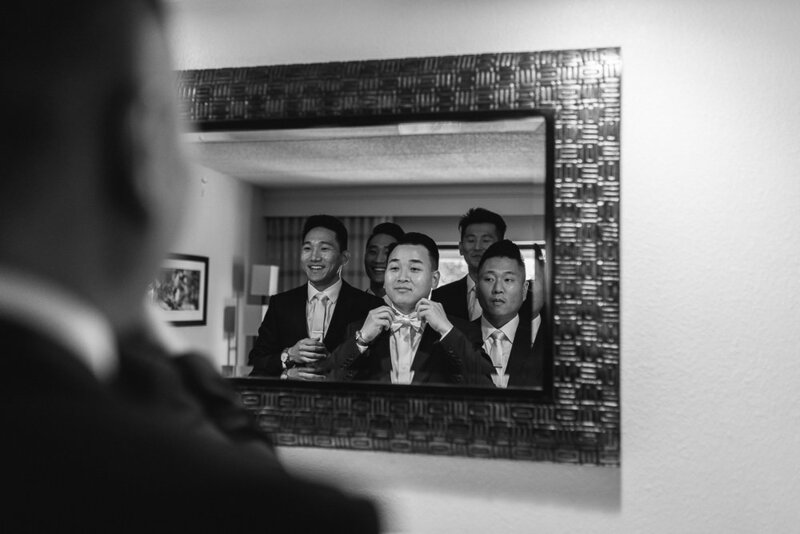 Their day began with getting ready with friends and siblings who have been there to witness the growth of their relationship. When I spoke with Newton as he was getting ready, he expressed how nervous yet excited he was feeling. Meanwhile, we had Catherine with her lovely bridesmaids who were laughing and relaxing. Catherine already had her makeup and hair done by Glam Beauty Bridal, and just enjoying the last moments as a single lady prior walking down the aisle. They even celebrated by popping some bubbles! 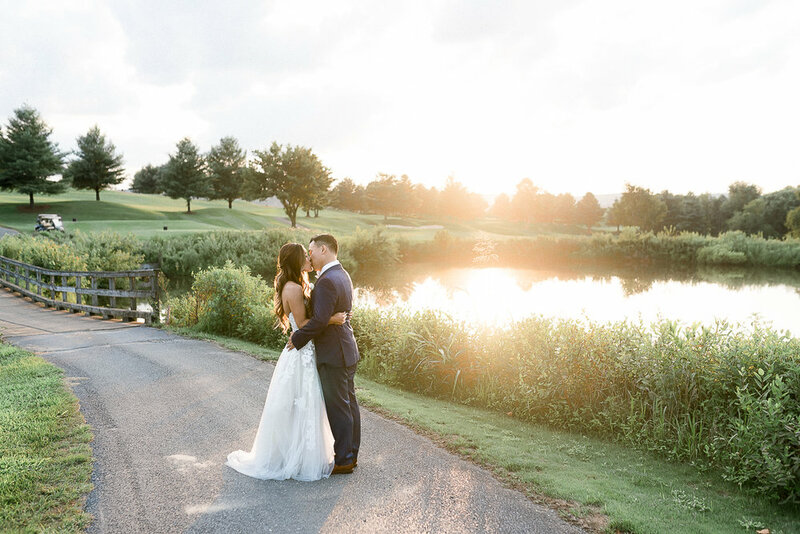 As we were traveling to Catoctin Hall of Musket Ridge Golf Club in Frederick, we noticed how beautiful and different Frederick is from the suburb – between the luscious tree lines and rolling hills, it felt like we were in a completely different area. 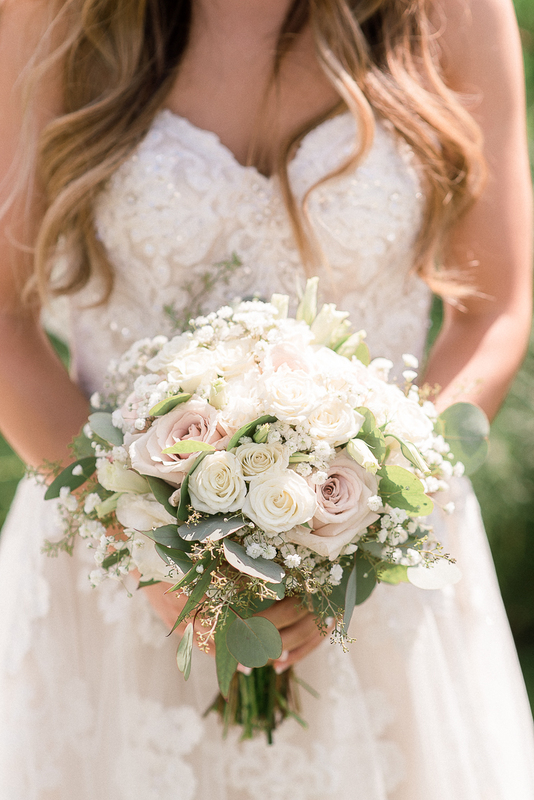 From first look to bride & groom portraits, you can tell these two couldn’t wait to get married!! 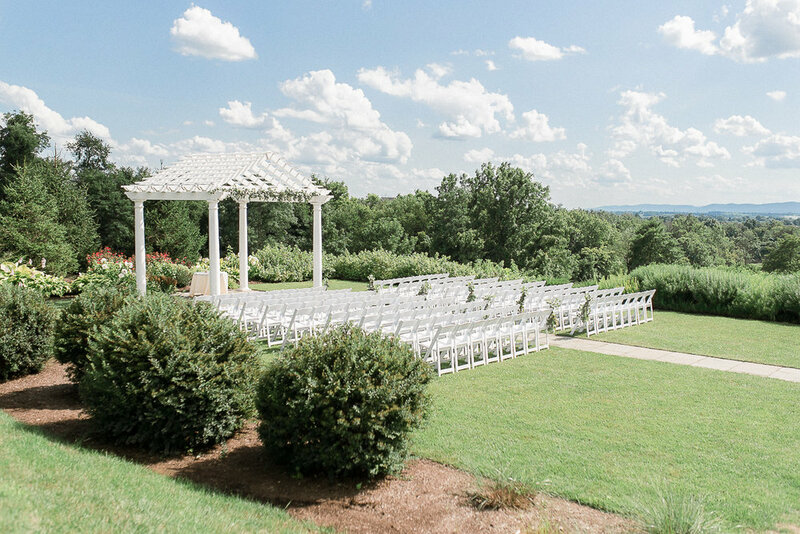 Their ceremony was outside in the garden under the pavilion. Decorated by greeneries arranged by Scentsational Florals, the seats were filled by close family and friends. Surprisingly, when it came time for the ceremony, Newton really let go all his nerves and emotions with tears coming down his face as he was waiting for his bride, Catherine to walk down from the patio down the stone steps through the garden. After they vowed their love for each other, they had a non-traditional union sand ceremony, and off they go as a married couple! 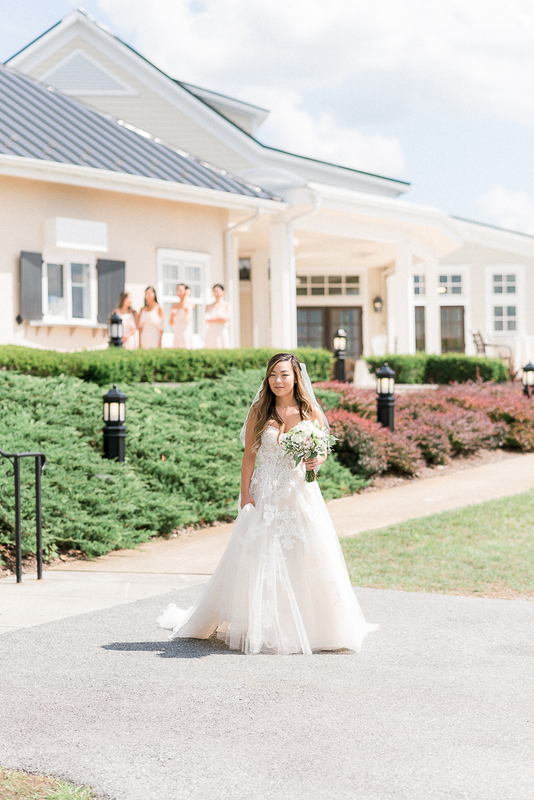 After the ceremony, the newlyweds took some time alone to just take in the fact that they are married, and we were able to captures some of the most beautiful bride & groom portraits with open fields and rolling hills as backdrop. Catherine and Newton then joined their family and friends for the reception. 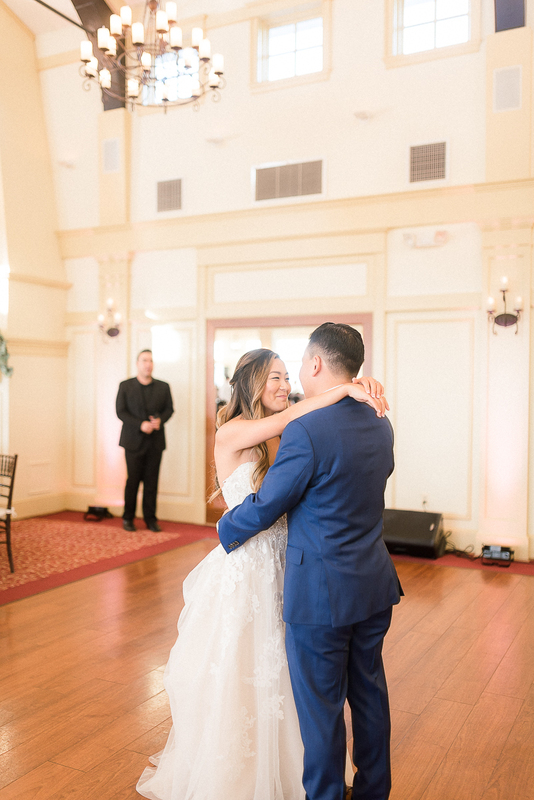 The parent dances were touching and the speeches by the Best Man and Maid of Honor were sweet, but we all know that a party is not completed without dancing the night away (especially the throwing-back to the 80s dances featuring their elders!) and laughter! Congratulations Catherine and Newton! 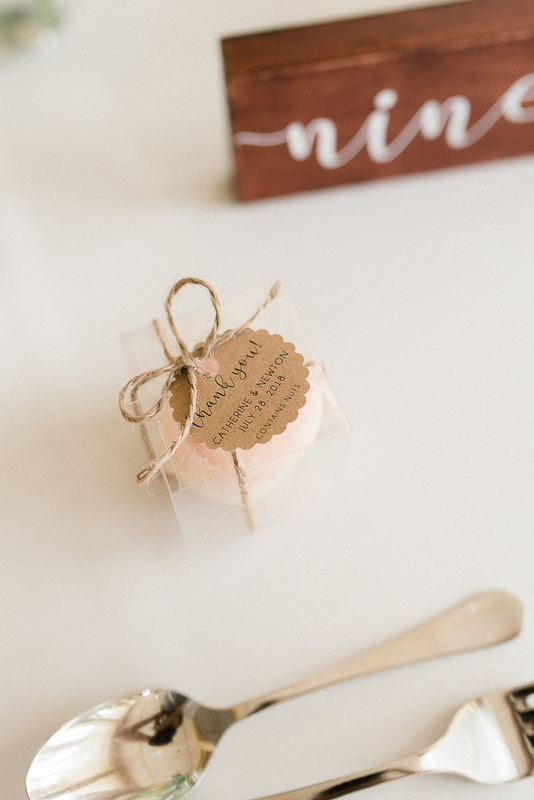 You guys are so amazing and so easy to work with, and we are absolutely honored and blessed to be part of your wedding day! Don’t forget to give us more recommendations on where to eat in the future!